To report Wright Medical’s bone void filler products to Medicare, utilize HCPCS code C1713. For additional information related to reporting of products, services or procedures utilizing any of Wright Medical’s bone-void filler products, please contact Medicare and/or the patient’s insurance company for guidance. Disclaimer: The coding and reimbursement information and data provided by Wright Medical Technology is presented for informational purposes only and is accurate as of its date of publication. It is the provider’s responsibility to report the codes that accurately describe the products and services furnished to individual patients. Reimbursement is dynamic. Laws and regulations regarding reimbursement change frequently and providers are solely responsible for all decisions related to coding and billing including determining, if and under what circumstances, it is appropriate to seek reimbursement for products and services and obtaining pre-authorization, if necessary. For these reasons, providers are advised to contact Medicare and/or specific payers if they have any questions regarding billing, coverage and payment. Likewise, providers should contact a medical specialty society or the AMA for coding clarification. Providers should check the complete and current HCPCS and/or CPT manual to see and consider all possible HCPCS and/or CPT codes. 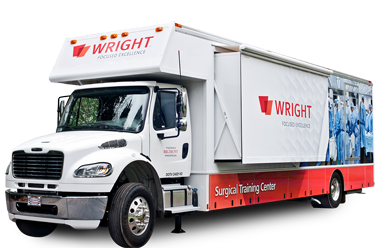 Wright Medical Technology makes no representation or warranty regarding this information or its completeness or accuracy and will bear no responsibility for the results or consequences of the use of this information.